Imagine building a GT race car that in its first year wins the grueling 1964 twenty-four hour endurance race, Le Mans. 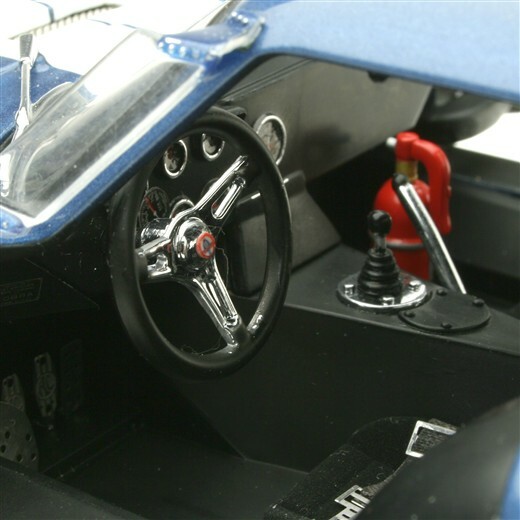 Just imagine yourself in the cockpit with Dan Gurney putting the Cobra Daytona Coupe through its paces. The number 5 car is on the last lap in the race of its life. 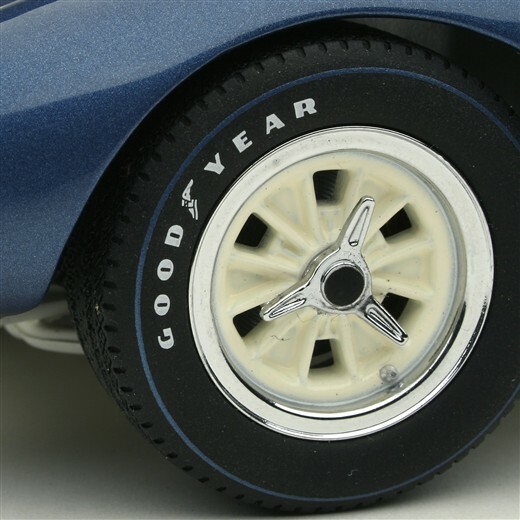 The excitement is electrifying, your heart is pounding as Carroll Shelbys blue Cobra Daytona Coupe screams past the finish line winning the race. Better yet, the team clinches the World GT Championship by winning at Reims, France on July 4th, 1965. The only American car to ever achieve this. 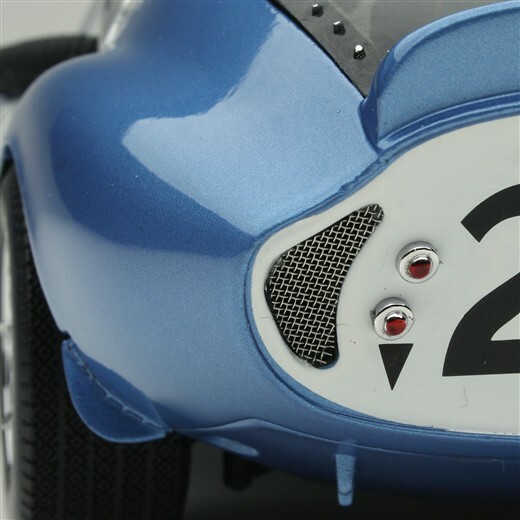 Now, imagine 9 inches of the most exquisite model of the Cobra Daytona Coupe in the world. Hand assembled from over 140 parts, to say that it defies comparison is an understatement. The actual car took a little over 90 days to build. It took Exoto over two years of painstaking effort to bring this important new model to life. 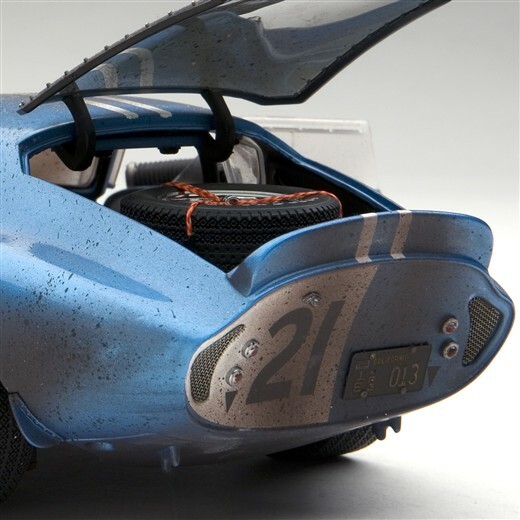 Built in grand 1:18 scale, it sets new standards of detail and precision. All of which makes it a lasting tribute to one of the most important race cars of all time. It's the stuff of legends. One thing you can't imagine is just how much we put into this model until you actually hold it in your hands. All you have to do is look at the valve stems that we machined out of aluminum and you'll know we went crazy on the details. We went to extra trouble and expense to photo etch the radiator and oil cooler. 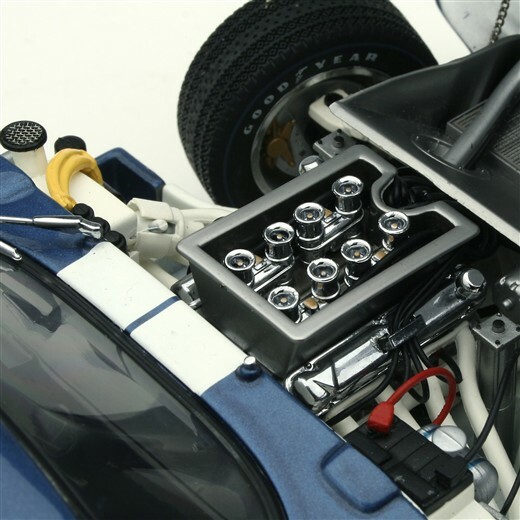 If that weren't enough, look at the fully wired and plumbed engine. The incredibly detailed interior. Look at the real wire mesh screens under the chassis and on nearly every body panel opening. Fact is, everywhere you look at this model, it is a feast for the eyes. The Cobra Daytona Coupe. It's got all the Cobra in it you'd possibly want in one model. This limited edition will sell out quickly. So don't wait. Let us build one for you. Order on-line or call us and reserve your own limited edition American Racing Legend today.